Cardiac catheterization is a minimally invasive heart procedure that diagnoses or treats heart conditions. It is also known as cardiac cath, heart catheterization or heart cath. During a cardiac catheterization, a catheter is guided from your arm or leg to the blood vessels in your heart or lungs. This allows your cardiologist to diagnose blocked arteries in your heart, which cause heart attacks, or measure pressures in your heart or lungs, which can cause shortness of breath. Percutaneous coronary angioplasty (PCI), including coronary stents and rotational, aspiration and laser atherectomy. This class of heart procedures is performed when your doctor wants to evaluate the function of your heart, heart valves and the major blood vessels of your heart, or if he or she suspects a serious heart vessel blockage. 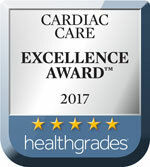 You can trust the experience of Southcoast Health, as we perform more cardiac catheterizations in southeastern Massachusetts than any other community hospital system in the state, with more than 2,000 patients receiving this treatment each year. Charlton Memorial Hospital has one of the busiest cath labs in a community hospital in Massachusetts and Rhode Island. 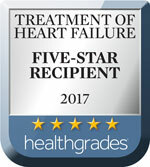 In addition, we are the fourth-busiest lab for STEMIs (myocardial infarction and heart attack) in Massachusetts. Cardiac catheterization is performed in a cardiac catheterization lab. During the procedure, your doctor will insert a catheter into an artery, either in the leg or arm, and use X-ray or fluoroscopy to guide a catheter to the heart. Once the catheter is in place, your doctor can perform a variety of tests and procedures. People often go home the same day as their procedure, but depending on the reason for your catheterization or what is done during the procedure, you may need to stay overnight in the hospital. Talk to your doctor about returning to work and other activities after this procedure. Cardiac rehabilitation may be part of your recovery process. A catheterization allows a cardiologist to diagnose blocked arteries in your heart, which cause heart attacks, or measure pressures in your heart or lungs, which can cause shortness of breath. The reason for your catheterization and its results will help the cardiologists determine what is best for you. Our team of health care professionals has tremendous experience in dealing with any of these possible scenarios. If your catheterization was done for another reason like shortness of breath, your cardiologist may discover your medications need to be adjusted or changed, or you may have a valve problem that require heart valve repair or replacement. Heart and vascular procedures cannot always prevent other heart problems. Reduce your risk with the help of Southcoast Health — where you can have expert heart care that’s close to home. Find a cardiologist near you today. 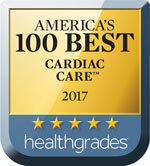 As part of our heart care, Southcoast Health provides cardiac cath in Fall River and New Bedford, MA.